Grown in individual plug cells, each plant measures about 5 - 7cm tall (from the base of the root to the top of the plant). 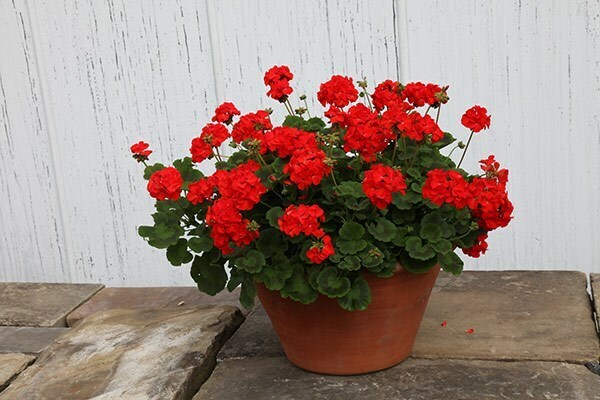 They are ideal for keen gardeners who have a greenhouse where the plants can be plants can be grown on until they are ready for planting out in the garden once all chance of frost has passed. Although tiny plugs, they were healthy and grew very quickly. Received many positive comments with my display this year. I would buy this produce again, very reliable. Very reliable. Easy to maintain. Flowers all summer long. I had them in pots on the patio. I am extremely pleased with these plants. I was a bit concerned when the plugs arrived as the plants seemed rather small but after potting them up they all survived and were flowering on the patio until November. They are a lovely red and good value for money. 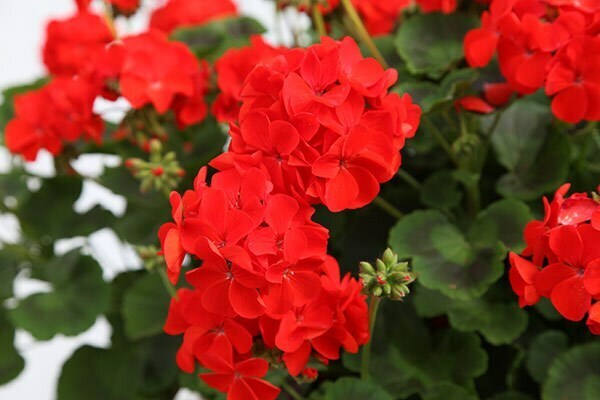 I was delighted with my Geranium Bright Red plugs which arrived in excellent condition. 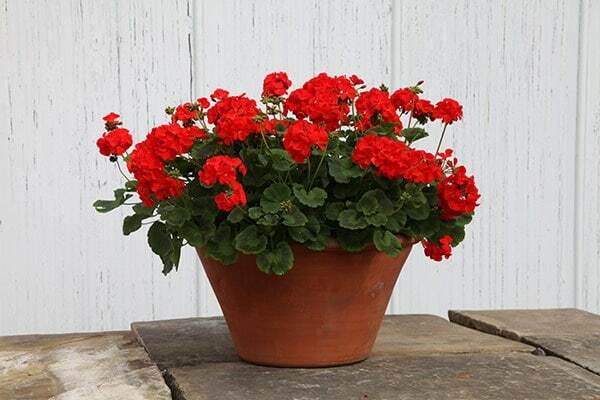 They developed into superb plants and made a wonderful display in our pots and and borders.